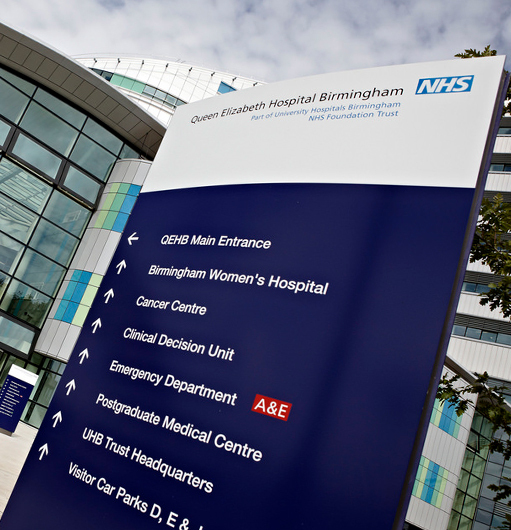 As one of Birmingham’s largest taxi firms, TC Cars offer a fast, efficient and affordable taxi service to the Queen Elizabeth hospital in Birmingham. It doesn’t matter if you require a car, minibus or PSV vehicle; TC Cars have you covered. Use our taxi booking app to get yourself a taxi today, or you can call us on 0121 770 2000. You can also use our taxi fare calculator to get an instant taxi quote. Licenced by Birmingham and Solihull councils, TC Cars offer regular taxi transfers to and from all Birmingham hospitals, including the Queen Elizabeth. With a large number of CRB checked drivers based in the Edgbaston area, we can offer a fast and reliable service to the hospital.